Last year was a busy year for me. When I sat down to do my taxes this past January, I discovered I’d taken 30 trips. I was either speaking somewhere or attending a conference for THIRTY trips. That’s quite a lot considering that my husband is in the National Guard, my youngest child turned 6 in the midst of all of my travels, my middle child is autistic and helping him cope with mommy being gone isn’t an easy thing to do, and my daughter graduated high school this year. But, I survived it and came out of it determined that this year, I would be very selective in what I attended. My speaking engagements are still open to fill my time, but the conferences are going to be few and far between. I write Christian romances. So, I attended a lot of romance conventions and a lot of Christian writer conventions. I have to tell you, the romance conventions — while I made good contacts and spent time with writer friends, they can be a bit fatiguing and full of “the world”. One romance convention I attended last year even had a male stripper as the welcome party entertainment. I have to say, it is almost refreshing to attend a Christian Writers’ Conference. 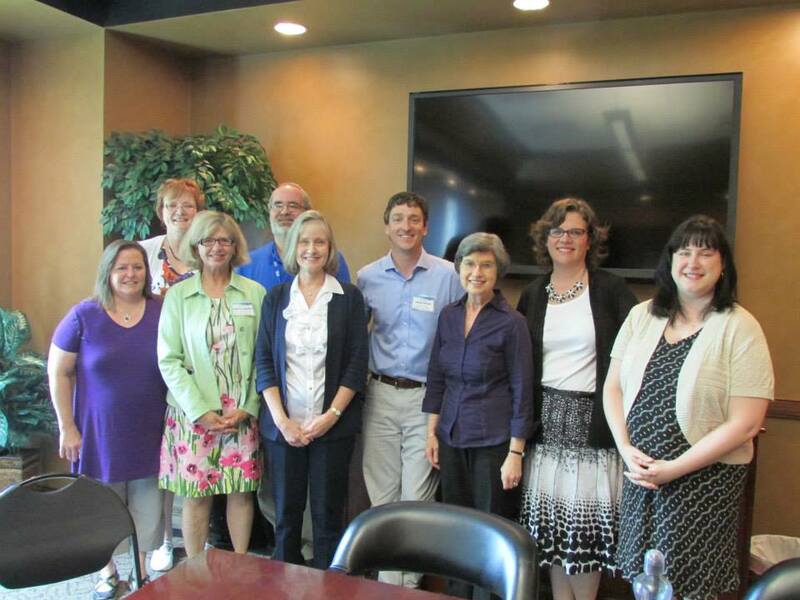 I am privileged to be on the planning committee for the Kentucky Christian Writers’ Conference, which took place last weekend. With worship music several times a day, a keynote speaker (Jesse Florea) from Focus on the Family, and a building filled with authors who just want to write the words God has given them, it is so uplifting and so inspirational. Next year will be our 20th year, and I cannot wait to see it all come together. I have rarely felt such an energy of love and support and encouragement as I did during that conference this year. On the 22nd of July, the Faith Hope and Love chapter of the Romance Writers of America will hold its annual worship service and meeting at Romance Writers of America national conference. The very cool thing about this annual worship service is that it will be the first thing that I do at the RWA conference. I will start this romance conference with a praise and worship service in a room full of Christian writers right before I immerse myself in the secular world of romancing writing. It puts my mind and heart in the right frame of mind. It reminds me that while I sometimes feel like a lone lamb out there in the midst of a secular world, *my people* are there, too. It brings me into a state of fellowship with like-minded writers who encourage and uplift and sharpen. There is nothing in the world quite like using gifts God has given you to glorify Him. And there is nothing in the world quite like being in a room full of people who share your gift and your passion. I’m having a sale this week! Right now, Books 1 and 2 in my Virtues and Valor Series are just 99 cents! Yes! 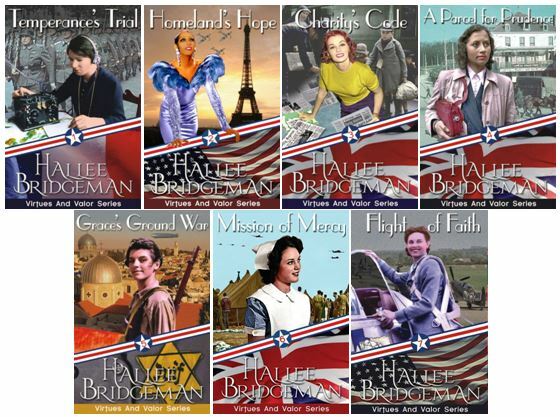 Get Temperance’s Trial and Homeland’s Hope for 99 cents each! Hallee, WOW! 30 trips is a lot! I know exactly what you mean about the challenges of leaving kids behind to pursue professional opportunities. It’s such a balancing act. Looking forward to seeing you at RWA and ACFW this year. Yes! Looking forward to seeing you, too! O.o at thirty trips! That’s amazing, Hallee! I haven’t been blessed with attending a Christian writers’ conference yet, both due to cost and the difficulty leaving my disabled husband behind. That’s a LOT of travel time, Hallee!! Isn’t it nice though that you can spend some of it with other Christian writers who have the same mind-set as you? And starting the RWA conference with worship would be so refreshing for your soul! I hear you about the secular romance…I don’t read it myself, even if it is labeled a “clean read”. It’s missing one very vital thing…..the Lord! I don’t want or need to read the worlds view on what romance is about, it’s so much sweeter the way God has set it up :-) This is why I SO appreciate Christian authors who write this way & stick to faith-filled stories! Blessings on your future writing endeavors & keep up the faith and your eyes on the Lord! Thank you so much, Trixi! I love writing Christian romances – I love that God has put them on my heart. Good for you. I love that you’ve made the commitment to speak and travel as part of your platform. I’m attending ACFW for the first time this year, so this rookie found your post very inspiring. I hope we get a chance to meet. I hope we get a chance to meet, too! ACFW was wonderful – it is definitely one that I’ll return to again and again.